Folklore of Russia is folklore of Russians and other ethnic groups of Russia. Russian folklore takes its roots in the pagan beliefs of ancient Slavs and now is represented in the Russian fairy tales. Epic Russian bylinas are also an important part of Slavic mythology. The oldest bylinas of Kievan cycle were actually recorded mostly in the Russian North, especially in Karelia, where most of the Finnish national epic Kalevala was recorded as well. In the late 19th-century Russian fairy tales began being translated into English, with Russian Folk Tales (1873) by William Ralston, and Tales and Legends from the Land of the Tzar (1890) by Edith Hodgetts. Many Russian fairy tales and bylinas have been adapted for animation films, or for feature movies by prominent directors such as Aleksandr Ptushko (Ilya Muromets, Sadko) and Aleksandr Rou (Morozko, Vasilisa the Beautiful). Some Russian poets, including Pyotr Yershov and Leonid Filatov, made a number of well-known poetical interpretations of the classical Russian fairy tales, and in some cases, like that of Alexander Pushkin, also created fully original fairy tale poems of great popularity. The organization of early Slavic society seems largely to have been based in small towns run by a group of people rather than a single leader, and had a strong emphasis on one's family unit. The area proposed as the homeland of Slavic peoples is roughly around modern-day Eastern European countries. East Slavs emerged around the Volga-Dnieper basin. The Oka river was a homeland to Slavic tribes from which Russian culture grew. South Slavic culture grew in Balkan region West Slavic people grew most likey in eastern Poland.Nature played an essential role in early Slavic culture. One early Russian object of worship was the "Moist Mother Earth", and a later, possibly related deity was called Mokosh, whose name means "moist" and may have Finnish origins. Mokosh was the goddess of women, children, and animals, and was worshiped for her connection with fertility. Russian soil is generally too thin for robust agriculture, rainfall is infrequent and inopportunely timed in much of the area, and the growing season is relatively short. Fertility and moisture are therefore particularly essential to the success of Russian agriculture. Because from early times the Rus' had an agricultural rather than hunting or herding basis for their food production, and were not on good terms with neighboring peoples, the success of Russian society was largely dependent on the success of its agriculture. Additionally, there is thought to have been a notable focus on the feminine element in early Slavic culture, with a subsequent shift to a more patriarchal society as Christianity got a foothold in the area. Ancestor worship was another central aspect of tribal life, and served as a link between past and future generations. Animism was also a common belief, and nature and house spirits played a central role in daily tribal life. Vladimir I (or "Vladimir the Great", "Saint Vladimir") converted to Christianity in 987 CE, and subsequently mandated it as the state religion of the Kievan Rus'. Just beforehand, he had pushed for worship of a pagan pantheon not native to the Russian people, but that proved largely unsuccessful. Because Christianity had already existed in the area, it caught on more easily than the foreign pagan tradition. Idols were destroyed at Kiev and Novgorod, two cities where Vladimir I had previously put particular attention into establishing a pagan pantheon. Despite the superficial eradication of pagan belief, animism and ancestor worship survived in rituals, stories, charms, and practices in peasant life. Certain pagan deities and objects of worship became inducted into the ranks of Christian saints. Other times, pagan holidays remained in practice but were called by new names, such as Trinity Day, during which peasant girls would honor the nature spirit rusalka, commemorate past ancestors, and practice divination rituals. Another such holiday is St. John's day, which was devoted to "seeing off the spring" and performing rituals to encourage springtime to come again soon. The coexistence of pagan and Christian beliefs in Russian culture is called "duality of religion" or "duality of belief", and was salient in much of Russian peasant culture. Certain pagan rituals and beliefs were tolerated and even supported by the Church. In these instances, rites were reinterpreted as essentially Christian. For instance, the wintertime ritual of spreading hay on the floor became associated with celebrating the birth of Jesus at Christmastime. When the Church condemned a practice, it typically did not dismiss it as made-up, but instead acknowledged its power and attributed it to the devil. Once Joseph Stalin came to power and put his first five-year plan into motion in 1928, the Soviet government began to criticize and censor folklore studies. Stalin and the Soviet regime repressed Folklore, believing that it supported the old tsarist system and a capitalist economy. They saw it as a remnant of the backward Russian society that the Bolsheviks were working to surpass. :157 To keep folklore studies in check and prevent inappropriate ideas from spreading amongst the masses, the government created the RAPP – the Russian Association of Proletarian Writers. The RAPP specifically focused on censoring fairy tales and children’s literature, believing that fantasies and “bourgeois nonsense” harmed the development of upstanding Soviet citizens. 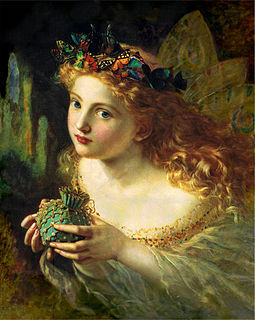 Faerie tales were removed from bookshelves and children were encouraged to read books focusing on nature and science. :304 RAPP eventually increased its levels of censorship and became the Union of Soviet Writers in 1932. Once Stalin died in March 1953, folklorists of the period quickly abandoned the new folktales of the period. Written by individual authors and performers, noviny did not come from the oral traditions of the working class. Consequently, today they are considered pseudo-folklore, rather than genuine Soviet (or Russian) folklore. :172 Without any true connection to the masses, there was no reason noviny should be considered anything other than contemporary literature. Specialists decided that attempts to represent contemporary life through the structure and artistry of the ancient epics could not be considered genuine folklore. :64 Stalin’s name has been omitted from the few surviving pseudo-folktales of the period. :172 Instead of considering folklore under Stalin a renaissance of the traditional Russian epic, today it is generally regarded as a period of restraint and falsehoods. Evidence of Russian folktales exists as early as the 12th century, and indicates it had been around for some time earlier. Not much content from early folktales exists today, however, largely due to suppression of non-Christian narratives by the Church. Telling folktales was strictly forbidden at least as early as the 12th century, and in some cases transgression led to death. It was only by the 16th century that Russian folktales began getting recorded, and only by the 19th century with Bogdan Bronitsyn's "Russian Folk Tales" (1838) that a compilation of genuine Russian folktales was published. Study of folklore gained particular popularity in the late 20th century (around the 1960's). There have been several attempts to classify European folklore, and one notable system was begun by Finnish folklorist Antti Arne, and later developed by Leningrad professor N. P. Andreyev. This system identified 915 main types of folktales (categorized by themes, plots, characters, and other story elements). Of these, about one third (317 types) were found in both Eastern and Western European tales, one third (302) types were found exclusively in Western European tales, and one third (296 types) were found exclusively in Eastern European tales. There were two primary types of magic in ancient and peasant Russian culture: (1) "unclean", or evil magic, and (2) productive, or good magic. The former is associated with the devil, and is generally considered hostile. The latter is protective against evil magic or seeks to produce good for the user. Some magic practices, such as divination, which were traditionally considered productive magic, were largely reassigned as unclean magic by the Christian church once it was in power. Most productive magic was "homeopathic", meaning that a symbolic action was performed with the hope of evoking a related response from reality. For example, a springtime ritual of carrying around branches with artificial birds (or cookies representing birds) on them was thought to help bring about the bird flight associated with the coming of spring. Folk magic traditions have been recorded as persisting as late as 1648 in Moscow. Practices associated with many holidays have their origin as magic rituals. Yuletide and New Year's caroling was initially an opportunity for households to show generosity at the start of the new year, thus ensuring they would have a prosperous year. Similarly, copious feasting and carousing at Shrovetide was thought to encourage a plentiful harvest. On the first night after a wedding, sometimes the couple's bed would be set near the livestock, so that they might influence the fertility of their animals. Other wedding traditions, like eating eggs, singing bawdy songs, and throwing grain over the newlyweds were originally intended to secure fertility and prosperity for the couple in the years to come. "Three paths, a tree stands by the road, under the tree a corpse lies, past the corpse goes St. Anthony and says: "Why do you, corpse, lie here? Do your teeth ache? Do your ribs hurt? Do worms eat you away? Does the blood flow out of you" "Nothing hurts." Grow numb you too, teeth of God's humble servant (name stated), like in a corpse; make him strong, Lord, stronger than a stone." One of the oldest recorded references to Russian charms lies in the Russian Chronicle, dating to the 10th century. Spirits were most frequently seen as the masters of their domains, whether that was forest, water, field, or home. Often they are portrayed as old men, reflecting the age-based familial hierarchy in tribal communities. Originally, nature spirits were thought to protect humans, but over time they came to be seen as neutral or malevolent forces, sometimes associated with the devil. They are also frequently associated with an "unclean" force, connected to unnatural death and improper burial. Most accounts that we have today of nature spirits were collected after the end of the 19th century and are told as second-hand tales. Run-ins with nature spirits have been reported to have been more frequent in the distant past, and less frequent nowadays. A leshy is a forest spirit who has mastery over the woods. His appearance varies across stories, but he is consistently male. Generally the leshy is pictured as human-like, but can also appear in the form of an animal or, in one case, a mushroom. Sometimes he is depicted with wings and a tail, like the devil. Sometimes he is described as looking like someone familiar to the viewer. His size is also variable, a power which has been attributed to his role as reflecting his environment. Depending on the height of the plant life in the forest he inhabits, he would fit in with his surroundings. Some stories about the leshy describe him as having a wife and children, mimicking a typical peasant household. Some accounts attribute multiple leshie to a given forest, and describe them as having a hierarchical society, again similar to local society. Some say the leshy cannot speak, but only makes sounds like clapping or wilderness noises (birds, rustling leaves, growls, etc.). Others say he can mimic voices of people you know. In general, he is thought to be mischievous or evil, and has been said to make people get lost in the woods, cause people to fall ill, steal women, and even eat people. His traditional weaknesses include fire and the sign of the cross, indicative of later association between leshy and the Christian devil. A vodyanoy is a male water spirit. He is thought to inhabit a given body of water, sometimes having a dwelling place at the bottom of it. Like the leshy, the vodyanoy's appearance varies from story to story. He is generally pictured as an old, bearded man, sometimes blue, white, or green sometimes covered in slime, sometimes bloated with water. Often he is described as having fish-like elements, such as scales or a fish's tail. Like the leshy, the vodyanoy was sometimes pictured with a wife. The vodyanoy's main function is drowning people. Other stories about the vodyanoy include him mimicking voices or corrupting someone to change their appearance. Some stories about amicable relations between humans and a vodyanoy describe millers and fishermen who made offerings to a vodyanoy to secure good fortune from his waters. Unlike the leshy, the vodyanoy is seen as unequivocally evil. In many cases, he is thought of as equivalent to the devil. A polevoi is a male field spirit. Like the other nature spirits, the polevoi's appearance generally reflects his environment. Sometimes he is described as having dark skin, like the soil; sometimes with grass for hair; sometimes dressed in white and surrounded by wind. Like the leshy, the polevoi has variable size based on his surroundings, and might be tall as the uncut grass in the summer and tiny as the field stubble after the harvest. The polevoi seems generally less sinister than other spirits, the worst of his shenanigans being to make people get lost in the field. He is generally seen as a bad omen, though, and might accidentally run someone down on his horse, so people tried to avoid him by staying out of the fields at noon, when he was most likely to be about. The polevoi was thought to have a family and children. A poludnitsa is a female field spirit, and is largely spoken of as fictitious. Her appearance varies primarily with regard to age; she has been described as a girl or an elderly woman. She is thought to protect the grain, and also to harm anyone working in the fields at noon. The rusalka is a female spirit, often associated with the water. She is usually thought to look like a young, beautiful woman. Accounts have placed rusalki in forests, in fields, and by rivers. She is typically thought to live underwater, like the vodyanoy, and to walk about on land playing tricks on unsuspecting passersby. In some places rusalki are thought to be the souls of still-born or unbaptized children, or of those who died by drowning. Sometimes her mischief is as harmless as leading people astray, like the leshy or polevoi; other times she is thought to tickle people to death or drown them. Rusalka's connection with the unclean dead makes her a bearer of the unclean force associated with other nature spirits. Sometimes she is associated directly with the devil. Like other nature spirits, she is thought to be weakened by the sign of the cross and certain magic words. There is a springtime festival called Rusalia, Rusal'naia Week, or Trinity Week where rusalki are thought to wander farther from their watery homes. The name for the festival might come from the Roman festival of roses, Rusalii, or rosalia, dies rosarum. During this week, villagers commemorated past ancestors and invoked the name of rusalki during springtime rituals like decorating homes with fresh-cut birch branches or leaving fried eggs by designated birch trees. The role of the rusalka in this holiday is somewhat unclear. Some believe she is associated with ancestor worship, but others believe she is only associated with unclean dead (i.e., those who died not of natural causes and did not receive a proper burial). Additionally, the unclean force is generally associated with corrupting a place to make it dangerous and blighted, but while the rusalka is "unclean" she is also thought to promote plant growth. The domovoy is a spirit of the house, and is somewhat different in character from the nature spirits. While mischievous, the domovoy was seen as the benign protector of a household. He was not averse to Christian symbols (like the sign of the cross), and did not make a place dangerous like other spirits. He was likely a holdover of ancestor worship practices, as one nick-name to refer to him was "grandfather", and he was often said to appear in the form of a current or past head of the household. Typically the domovoy was perceived not by sight, however, but by sound. He might cause walls to creak or bang pots or sing. A domovoy was usually thought to live alone, but some accounts mention him having a wife and children. The domovoy's function was largely to look after a household. One way he did this would be by offering omens of future events, such as good or bad fortune, weddings, or a death in the family. One responsibility of a household was to please its house spirit, whether that was by managing the house well, following social customs, or even selecting livestock in a domovoy's preferred color. Having the assistance of one's domovoy was considered essential to the proper functioning of a household. The transfer of a domovoy was an important business as well. For instance, when a woman got married it was customary for her to leave her family and join that of her husband. When she left her home, it was necessary for her to perform rituals to separate her from her family's house spirits and acquaint her with those of her husband's family. When a family moved houses, they would specifically invite their domovoy to come with them to ensure it would remain with the household. Animals occur alongside human characters, as well as alongside other animals. Some of the most common animals found throughout many folktales are foxes, sheep, goats, roosters and wolves. These animals are sometimes given human qualities, including the ability to speak both with other animals as well as human characters. They have the same emotions as human characters as well. They are given human qualities such as wit, humor, slyness and even stupidity. Foxes, for example, are usually female and are very witty and like to trick their counterparts. This can be adult humans or wolves, roosters and bears. Wolves, on the other hand, are usually male and are not very smart. They are often susceptible to being led into traps and being tricked out of food or prey by foxes. The characteristics of these animals have persisted through time, though the slyness and wittiness of foxes has remained constant. Sadko in the Underwater Tsardom by Ilya Repin. The Mermaids by Ivan Kramskoi. Ilya Muromets and Nightingale the Robber (19th century lubok). Ivan Kupala Day by Henryk Siemiradzki. Domovoi Peeping at the Sleeping Merchant Wife by Boris Kustodiev. Wikimedia Commons has media related to Folklore of Russia. ^ a b c d e f Andreyev, Nikolay (March 1962). "Pagan and Christian Elements in Old Russia". Slavic Review. 21 (1): 16–23. doi:10.2307/3000540. ISSN 0037-6779. JSTOR 3000540. ^ a b c d e f g h i j k l m n o p q r s t u v w x y z aa ab ac ad ae af ag ah ai aj ak al am an ao ap aq ar as at au av aw ax ay az ba bb bc bd be bf Sokolov, Yuriy M. (1971) . Russian Folklore. Translated by Smith, Catherine R. Detroit: Folklore Associates. pp. 26–404. ISBN 978-0-8103-5020-5. ^ Subtelny, Orest (2009-11-10). Ukraine: A History, 4th Edition. University of Toronto Press. ISBN 9781442697287. ^ a b c d Pipes, Richard E. (1974). Russia under the Old Regime. Charles Scribner's Sons. pp. 1–24. ^ "Google Maps". Retrieved December 19, 2018. ^ Tian-Shanskaia, Olga S. (1993). Village Life in Late Tsarist Russia. Indiana University. pp. 116–155. ISBN 978-0-253-20784-5. ^ a b c d Hellberg-Hirn, Elena (1998). Soil and Soul: The Symbolic World of Russianness. Aldershot: Ashgate. pp. 111–135. ISBN 978-1-85521-871-0. ^ a b Pipes, Richard E.; Conquest, Robert; Dewdney, John C.; McCauley, Martin (November 15, 2018). "Soviet Union: Historical State, Eurasia". Encyclopaedia Britannica. Retrieved December 19, 2018. ^ a b c d e f g h i Alexander, Alex E. (1975). Russian Folklore: An Anthology in English Translation. Belmont, Massachusetts: Nordland. ISBN 0-913124-06-0. ^ The Russian Primary Chronicle: Laurentian Text. Translated by Cross, Hazzard; Sherbowitz-Wetzor, Olgerd P. Cambridge, Massachusetts: The Mediaeval Academy of America. ^ a b c d e f Oinas, Felix J. (1973). "Folklore and Politics in the Soviet Union". Slavic Review. 32: 45–58. doi:10.2307/2494072. JSTOR 2494072. ^ a b c d e f g h Oinas, Felix J. (1975). "The Political Uses and Themes of Folklore in the Soviet Union". Journal of the Folklore Institute. 12 (2/3): 157. doi:10.2307/3813923. JSTOR 3813923. ^ a b Husband, William B. (2006). "'Correcting Nature's Mistakes': Transforming the Environment and Soviet Children's Literature, 1828–1941". Environmental History. 11 (2): 300–318. doi:10.1093/envhis/11.2.300. ^ a b Farrer, Grimes (1973). "The Soviet Folktale as an Ideological Strategy for Survival in International Business Relations". Studies in Soviet Thought. 13 (1–2): 55–75. doi:10.1007/BF01044328. ^ a b c d Miller, Frank J. (1980). "The Image of Stalin in Soviet Russian Folklore". Russian Review. 39: 50. doi:10.2307/128551. JSTOR 128551. ^ a b c Schlauch, Margaret (1944). "Folklore in the Soviet Union". Science and Society. 8. ^ a b Propp, Vladimir (2012). The Russian Folktale. Translated by Forrester, Sibelan. Detroit: Wayne State. p. 11. ^ a b c d e f g h i j k l m n o p q r s t u v w x y z aa ab ac ad ae af ag ah ai aj ak al am an ao ap aq ar as at au av aw ax ay az ba bb bc Ivanits, Linda J. (1992) . Russian Folk Belief. Armonk, New York and London, England: M. E. Sharpe. pp. 64–82. ^ a b c d e f g h i j k l m n Turgenev, Ivan (1990) . Sketches from a Hunter's Album. Translated by Freeborn, Richard. London; New York: Penguin. pp. 99–120. ISBN 978-0-14-044522-0. OCLC 22736825. ^ a b c d e f g h i j Ivanits, Linda J. (1992) . Russian Folk Belief. Armonk, New York and London, England: M. E. Sharpe. pp. 51–63. ISBN 978-0-87332-889-0. ^ Hall, Masha G. Or Why Magic Tales are not Fairy Tales, Where Animals Talk and Strange Creature Roam. August 2005. ^ Zenkovsky, Serge A., editor. Medieval Russia's Epics, Chronicles, and Tales. Second Edition. New York, E. P. Dutton, 1974. ^ Goldberg, Christine. The Construction of Folktales. Journal of Folklore Research. Vol. 23, No. 2/3, Special Double Issue: The Comparative Method in Folklore (May, 1986), pp. 163-176. Alexander, Alex E. (1975). Russian Folklore: An Anthology in English Translation. Belmont, Massachusetts: Nordland. Ivanits, Linda J. (1992, © 1989). Russian Folk Belief. Armonk, New York and London, England: M. E. Sharpe. Propp, Vladimir Yakovlevich. The Russian Folktale edited and translated by Sibelan Forrester (Wayne State University Press; 2012) 387 pages; lectures delivered at Leningrad State University in the 1960s. Sokolov, Yuriy M. (1971, © 1950). Russian Folklore. Translated by Smith, Catherine R. Detroit: Folklore Associates. Kikimora is a legendary creature, a female house spirit in Slavic mythology. Her role in the house is usually juxtaposed with that of the domovoy, whereas one of them is considered a "bad" spirit, and the other, a "good" one. When the kikimora inhabits a house, she lives behind the stove or in the cellar, and usually produces noises similar to those made by the mice in order to obtain food. Kikimory were the first traditional explanation for sleep paralysis in Russian folklore. The Leshy is a tutelary deity of the forests in Slavic mythology. The plural form in Russian is лешие, leshiye. As the spirit rules over the forest and hunting, he may be related to the Slavic god Porewit. In Slavic mythology, vodyanoy or vodyanoi is a male water spirit. Vodník in Czech fairy tales is the same creature as the Wassermann or nix of German fairy tales. In the Slavic religious tradition, Domovoy is the household god of a given kin. They are deified progenitors, that is to say the fountainhead ancestors of the kin. According to the Russian folklorist E. G. Kagarov, the Domovoy is a personification of the supreme Rod in the microcosm of kinship. Sometimes he has a female counterpart, Domania, the goddess of the household, though he is most often a single god. The Domovoy expresses himself as a number of other spirits of the household in its different functions. A bylina is a traditional East Slavic oral epic poem. Byliny songs are loosely based on historical fact, but greatly embellished with fantasy or hyperbole to create their songs. The word bylina is derived from the past tense of the verb “to be” and implies “something that was.” The term most likely originated with scholars of Russian folklore; in 1839, Ivan Sakharov, a Russian folklorist, published an anthology of Russian folklore, a section of which he titled “Byliny of the Russian People,” causing the popularization of the term. Later scholars believe that Sakharov misunderstood the word bylina in the opening of Igor’ Tale as “an ancient poem.” The folk singers of byliny called these songs stariny or starinki, meaning “stories of old”. Other than the many gods and goddesses of the Slavs, the ancient Slavs believed in and revered many supernatural beings that existed in nature. These supernatural beings in Slavic religion come in various forms, and the same name of any single being can be spelled or transliterated differently according to language and transliteration system. A household deity is a deity or spirit that protects the home, looking after the entire household or certain key members. It has been a common belief in pagan religions as well as in folklore across many parts of the world. The culture of the ethnic Russian people has a long tradition of achievement in many fields, especially when it comes to literature, folk dancing, philosophy, classical music, traditional folk music, ballet, architecture, painting, cinema, animation and politics, which all have had considerable influence on world culture. Russia also has a rich material culture and a tradition in technology. Mech-kladenets is a fabulous magic sword in Russian fairy tales and byliny, rendered "sword of steel", "hidden sword", or "magic sword" in English translations. The Russian Stories, also known as the Russian Series, the Russian Trilogy and the Rusalka Trilogy, are a series of fantasy novels by science fiction and fantasy author C. J. Cherryh. The stories are set in medieval Russia along the Dnieper river, in a fictional alternate history of Kievan Rus', a predecessor state of modern-day Russia, Belarus and Ukraine. The three books in the series are Rusalka (1989), Chernevog (1990), and Yvgenie (1991). Rusalka was nominated for a Locus Award in 1990. In Slavic folklore, the rusalka is a female entity, often malicious toward mankind and frequently associated with water. Folklorists have proposed a variety of origins for the entity, including that they may originally stem from Slavic paganism, where they may have been seen as benevolent spirits. Rusalki appear in a variety of media in modern popular culture, particularly in Slavic language-speaking countries, where they frequently resemble the concept of the mermaid. Green week is an ancient Slavic fertility festival celebrated in early June and closely linked with the cult of the dead and the spring agricultural rites. In Russian villages, the seven weeks after Easter were a time of festivity, and Green Week took place during the seventh week. The Thursday of that week was called Semik and included burial services for the unclean dead. Green week is also called Trinity Week in Russia, and Whitsuntide week in Britain. The end of Semik inaugurated the celebrations of Trinity Sunday, which came three days later. The Last Knight is a 2017 Russian comedy fantasy film directed by Dmitriy Dyachenko. The story develops around Baba Yaga and Koschei, both villains in traditional Russian fairy tales. The film was produced by American film companies The Walt Disney Company CIS with Russian film companies Yellow, Black and White and Kinoslovo. The film stars Viktor Khorinyak, Mila Sivatskaya, Elena Yakovleva, Ekaterina Vilkova, Konstantin Lavronenko and Yevgeny Dyatlov. The Bear and the Nightingale is a historical fantasy novel written by Katherine Arden. It is Arden's debut novel and the first novel in the Winternight trilogy. The Bear and the Nightingale chronicles tale of a young girl, Vasya, who is able to communicate with mythological creatures of tales she was told as a child. A battle between traditional Russian folklore and the introduction and solidification of Christianity into remote Russian villages ensues as Vasya fights to keep the monsters away.